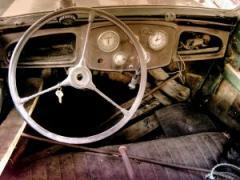 When you're renovating an old car, expert tips can be an invaluable resource. For many people, restoring vintage automobiles is a labor of love. However, the cost of antique restoration is a reality that must be considered throughout every stage of the process. LoveToKnow Antiques spoke with antique classic car enthusiast Steve White about how he has taken steps to keep costs under control with his ongoing car restoration project. Is There a Canadian Old Car Trader Magazine? 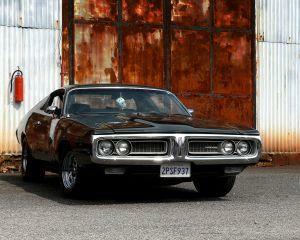 What Type of Car Are You Restoring? I am currently restoring a 1981 Avanti II. In the past, I have worked on a 1967 Mustang, a 1971 Triumph Motorcycle, and a 1968 Cougar. I also had a 1985 DeLorean for a brief time immediately before getting the Avanti. When I was in college, I had a 1973 Dodge Challenger, but lacked the money to keep it going. I sold it for $800, and unfortunately for me, it's now probably worth about $8,000. How Do You Locate Car Restoration Parts Suppliers? The Internet is the best resource for finding companies that supply parts for old cars. Look on newsgroups for postings from people about the quality of the parts they've gotten from suppliers. Classic car club newsletters often have ads from restoration shop that have good reputations. How Do You Approach Finding Parts at Classic Automobile Junk Yards? Believe it or not, salvage yards were one of the very first businesses to use networked databases connected over phone lines. Four or five years before I ever heard of the Internet, I went to one of the local classic automobile junk yards looking for Triumph parts, and the owner found me what I needed in New Jersey. It always helps to have the original part number from the manufacturer, and to know the proper name of the part you need. Pictures are great too. An original shop manual is invaluable in this regard. It's difficult for the salvage yard employees to find a listing for a "doohickey". What Advice Do You Have For Others Involved in a Car Restoration Project? Get a copy of the original service manual. I'm not talking about the owner's manual. I'm talking about the one that shows you how to rebuild the car. Whatever you have to pay for it, it's worth the money. Look at the frame of the car before buying it. Body panels can be bought new in steel, fiberglass, or sometimes even aluminum, but if the frame is rotted, you have nowhere to bolt the body panels. You'll also never get the car to keep its alignment. Frame work is expensive. I learned this the hard way with a Mustang I tried to restore several years ago. Start with the brakes. This isn't the most glamorous part, but if you can't stop the car, you shouldn't start it. Buy and install a new gas filter as soon as you buy the car. Buy the tools you need to do the job at hand. Don't try to rig something up, you'll probably destroy the part and your knuckles. You will definitely need a good quality air compressor and some air tools. Clean parts as you remove them. Cleanup is part of the job, and must be done before putting them back together. You might as well clean them while you're dirty already. NEVER clean something with gasoline. Use mineral spirits and a brass wire brush. You can follow up with ether (starting fluid) if you need to have a paint-ready clean surface. IMMEDIATELY after cleaning, if not before, label the part. I suggest getting the manila folder type note cards that have wires attached to them. Also, go to an industrial supply house and get a can of sprayable cosmoline. Write the notes in pencil and then spray the card with the cosmoline. Pencil is oil-proof, so your writing won't dissolve, and the cosmoline makes it waterproof. If you have a rare car that needs special tools from the manufacturer, talk to people at local car shows or in local clubs. I am a machinist, and have made most of the special tools required to disassemble and rebuild a Studebaker front end. There are many of them, and I'm happy to lend them out to people I've met through the classic car circuit in my area. Would You Like to Share Any Final Thoughts on Classic Car Restoration? You can't expect to complete a quality restoration overnight. It takes time, energy and effort. Don't be taken by surprise by the cost of classic car restoration. It's a labor of love, and you should only undertake a restoration project if you're willing to commit to completing it. LoveToKnow Antiques would like to thank Steve White for taking the time for this interview, and wishes him continued success with his car restoration efforts.